I’m not all that! Or am I? Who told you that you aren’t all that? Who told you that there was nothing special about you? Who told you that you were useless, that you would never amount to anything? You are all that and then some. Your life is filled with purpose. I want to challenge what you have come to believe about yourself. You may wonder what gives me the authority to speak on this issue. I’ll get to that. Without sounding like I’m giving myself a colossal pat on the back – I want to qualify myself by putting up my personal experience and testimony. I spent the first 40 years of my life being told how useless I was. I was told I was fat, loud, overly emotional and unintelligent. I was told I was “simple-minded” and should be content to find myself a man who would accept me as I was. Many cruel names were given to me – they became my identity. I believed everything that was said about me because the words were spoken by people I loved and trusted. Every word cut deep and carved a scar of untruth that reached far into my soul, into my identity, into my very core. It wasn’t until a brush with suicide brought me to call out to God. I needed to be loved. I needed to be protected. I needed to know that I wasn’t fundamentally bad. Have you been told hurtful things about yourself? Do you think you’re “not all that”? Lies. Stop believing the lies. You are more than you know, and you have a purpose. You are so loved by God and He wants you to be His child. Psalm 139 is a psalm that tells us who we are and what we mean to God – how very special each of us is in His eyes. He has made each one of us with personality and has given us gifts and talents unique to our purpose that He calls forth in us. 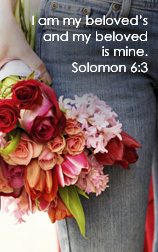 You are all that and more, says God Almighty – the Creator of the universe – your Creator. Whose words speak life into you? Make a choice to believe Him. He who created you has spoken over you. You are all that and more. A couple of years ago, I was preparing to run a 5K. I had spent several weeks adding on a block or two of distance and pushing myself a little bit harder every day. I had never run before; I was careful not to push so hard that I might injure myself before the race. I just wanted to do it to prove to myself that I could do it, to prove to myself that I was tough. There was however a life lesson throughout the process which did not manifest itself to me until such time as I would be open to absorb it and learn from it. Unfortunately for me, that time was later rather than sooner. Welcome to my world. Thinking that a “deep tissue” massage might prepare my muscles for the big day and relax me at the same time, I made an appointment for the afternoon before the race. Is there a better way to end the work day than laying beneath a heated, thick, fluffy duvet with the sound of birds and crickets chirping in the background? The room was the perfect temperature; it wasn’t too dark, just dark enough to lull my body into a false sense that it was bed time. I took a deep breath, you know the kind that a child takes after crying – three breaths in one. Ah … I can’t imagine how much better this will be once the massage begins … sigh …. deep breaths of a relaxing proportion such that I could not remember having in years … if ever. The massage therapist tapped on the door before entering. I watched, through the slits of my almost closed eyes, as she poured oil into her hands and warmed it. “Tell me if I’m too rough,” she whispered over the the chirps coming from the corner of the room. She asked me to roll onto my stomach and began with a gentle effleurage over my back and moved down to my thighs. Am I in Heaven already? I sighed. “Sometimes people can’t really handle deep tissue massage,” she stated. Clearly, she didn’t know me. I’m a rock. I’m built of sturdy stuff. I can take anything you can throw at me. “Just take those knots out of my muscles” I pleaded. As her tiny, warm hands worked the muscles in my thighs I began to nod off. That feels so great, I thought. I hope I don’t fall asleep. Oh … yes … that’s sooo nice … OH!! DEAR GOD IN HEAVEN! WHAT ARE YOU DOING TO ME!? I was suddenly catapulted from a sweet dream into a nightmare. What the … “Am I going too deep?” she asked as I tensed up. “Oh, not at all” I replied (lied). WOMAN! ARE YOU CRAZY? TELL HER THE TRUTH!! I couldn’t. I just kept thinking, if it hurts this much now, I’m sure it’ll feel great when she is through. I said nothing. I could take it. After all, I gave birth to two children. I was, for the most part, a single mom. I’ve spent a life time sucking it up. There was no way a massage was going to ruin my record or put a dent in my pride … so … I held it in. I could have told her it was a little rough. She wouldn’t have minded; it would have made no difference to her.The once tiny digits that caressed and kneaded my muscles now seemed like little boney, coat hanger-like fingers digging their way into every nerve ending of my body. She likely would have welcomed a slight change in pressure, but I just couldn’t bring myself to say anything. I sucked it up. Sixty minutes later I rolled off that little table, the table that once lured me onto it with its soft, warm, fluffy duvet. I limped out of the office and winced as I tried to get into my vehicle. I could barely control the steering wheel. My arms and even my hands felt like they had been flashed frozen and thrown into a fire. Hot bath! Hot bath! Hot bath! My Sweet Lord, please help me. I’m dying! That night was a sleepless one. Even my once soft mattress abused what was left of me. Needless to say, the following day, I missed the race. I could barely get out of bed. In fact, I could barely walk or move for the next three days. Was God giving me a deep tissue spiritual massage? Sometimes God will use insignificant things, people, or events to teach us something He desires us to learn. Sometimes, He has to teach the lesson more than once. So, what was I supposed to learn that day that He’s had to re-teach me several times since then? Humility and vulnerability are precious to a person’s growth. I had spent months preparing for a race that I was not able to run because my pride got in the way. That massage therapist would not have care if I would have said, “How about a not-so-deep tissue massage?” She was getting paid either way. She was not going to go home and tell her husband about the tough broad who was able to endure everything she had to dish out. I was afraid she would see that I was human; I had limits as to what I could handle. She was unknown to me. It was likely that I would likely NEVER see her again but I felt the need to continue the charade that I had become so adept at playing even before a complete stranger. Opening ourselves up, being vulnerable and authentic, is of more benefit to us than it is to the world of people around us. Do you keep everything inside? Do you force yourself to live up to your own high and most often unreasonable standards? Are you trying to live up to someone else’s unreasonable standards? Is it difficult for you to say “enough”? Are you trying to please others at your own expense? Was God’s plan for me to actually run that race? Or, was His plan to provide me with a life lesson … one that I soon forgot and would have to learn again and again and again? Life is not easy but there is always the blessing of a teachable moment if we set our “self” aside and open our hearts and minds to listen and adjust accordingly. A candid conversation with a friend recently brought that lesson to my mind … again. We are human. The people we love are there to remind us of these lessons when we let them inside. Don’t be afraid of being judged if you don’t complete the race you had planned out. There is always a spiritual race being run that is far more important than the races we try to run in the natural. “For I know the plans I have for you”—this is the Lord’s declaration—“plans for your welfare, not for disaster, to give you a future and a hope.” Jeremiah 29:11. All creative work at UnveilingHope by Hope Daniels is licensed under a Creative Commons Attribution-NonCommercial-NoDerivs 3.0 Unported License. Permissions beyond the scope of this license may be available at www.unveilinghope.com.